P!nk is having a bloody great week. Just one day after unveiling her star on Hollywood’s Walk of Fame, the music business bosses across the pond here in Britain have announced they will be honouring the songwriter too. The Missundaztood singer will be the first international recipient of the prestigious Outstanding Contribution To Music award at the Brits, in recognition of her chart-topping ­success over nearly two decades. 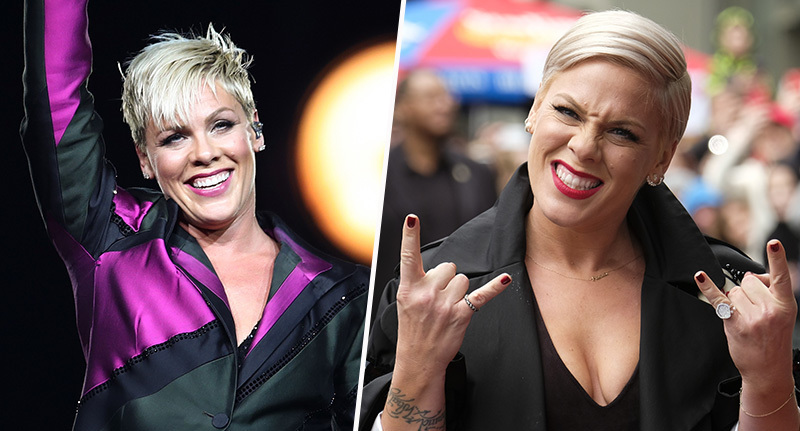 It means P!nk, whose real name is Alecia Beth Moore, will also become the first ever female solo artist to scoop the gong. She will be flying in from LA, where she lives with her husband and two kids, to accept the honour and perform at the Brit Awards, which will take place on February 20 at the O2 Arena in London. The announcement was made via The Brit Awards’ website. P!NK is a trailblazer, a phenomenally talented singer and songwriter, and truly one of the greatest artists of our time. It is a real pleasure to honour her at this year’s BRIT Awards with the Outstanding Contribution To Music Award. With her remarkable career spanning nearly 20 years, P!NK is one of the most successful artists in the world, consistently releasing multi-million-selling albums and selling out tours all over the globe. I am really excited to welcome her back to The BRITs and to recognise her prodigious success. The timing is apt. She’s just got her Hollywood star and P!nk is due to release the first single, Walk Me Home, in the next fortnight, which will be the first single off her eighth studio album Hurts To Be Human, set to be released in April. The 39-year-old has been in the business of making music since the turn of the millennium. P!nk has won 130 awards in her time and been nominated for 213, including Billboard music awards, MTV awards, and the British LGBT Awards. I am so honoured to be recognised with the Outstanding ­Contribution To Music award at the Brits. Since the start of my career, British fans have been some of the most fierce and loyal in the world. I am humbled to receive this honour.